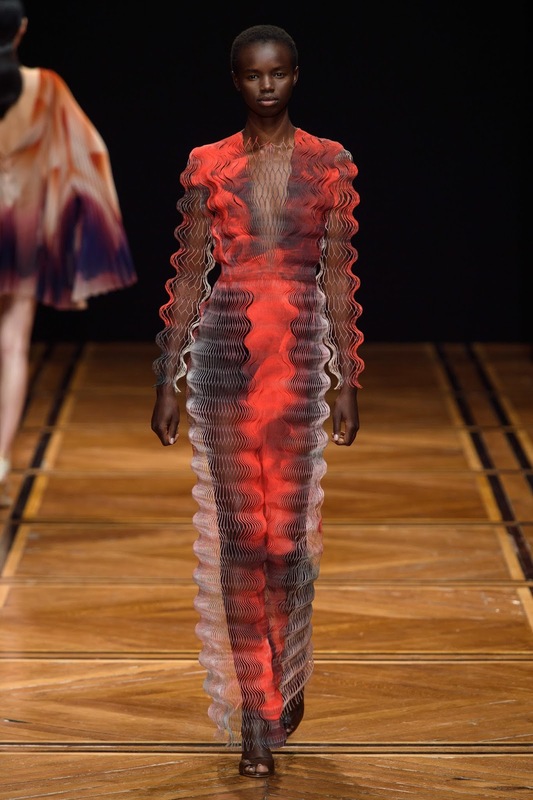 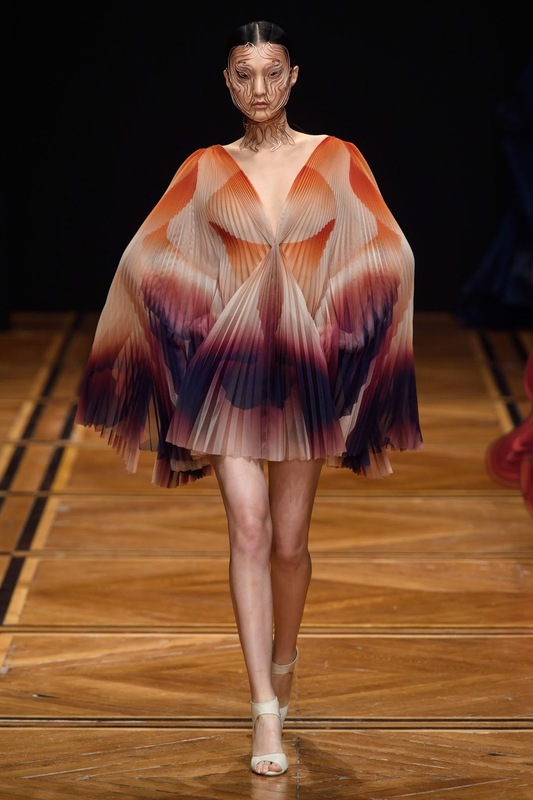 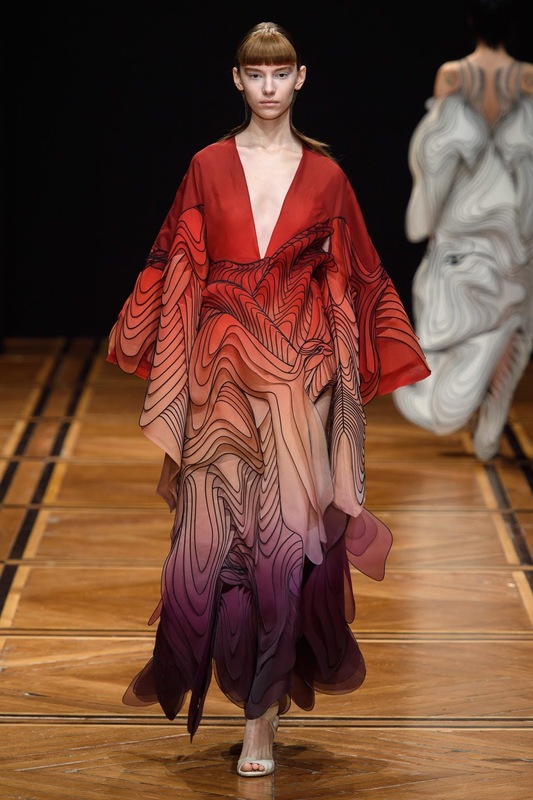 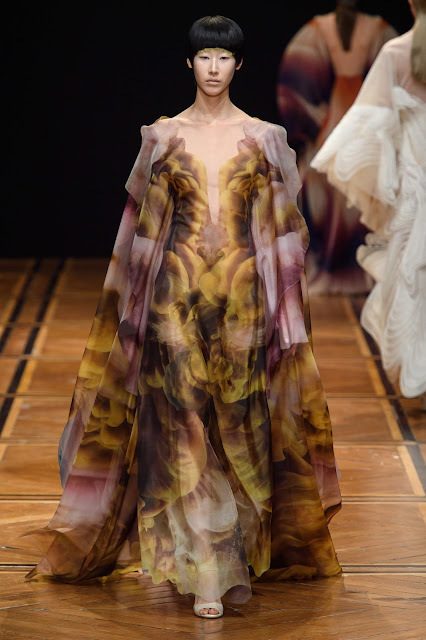 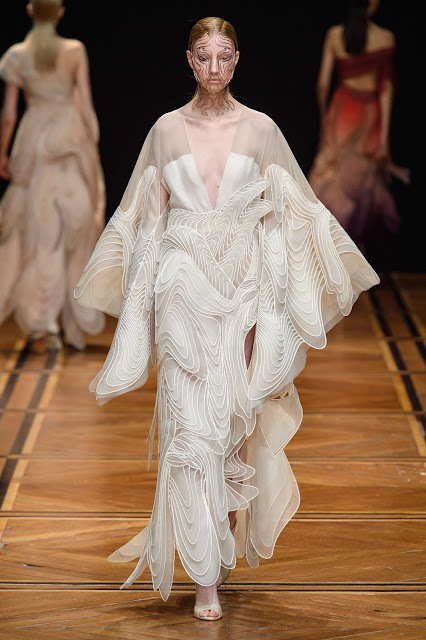 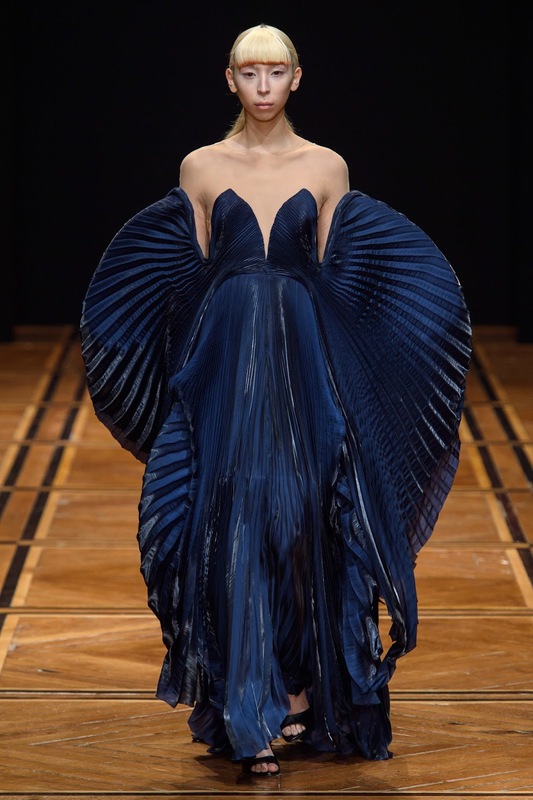 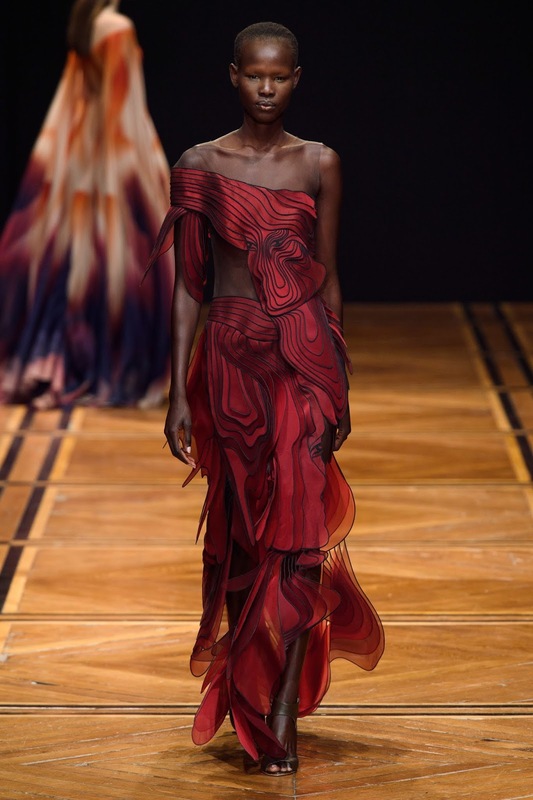 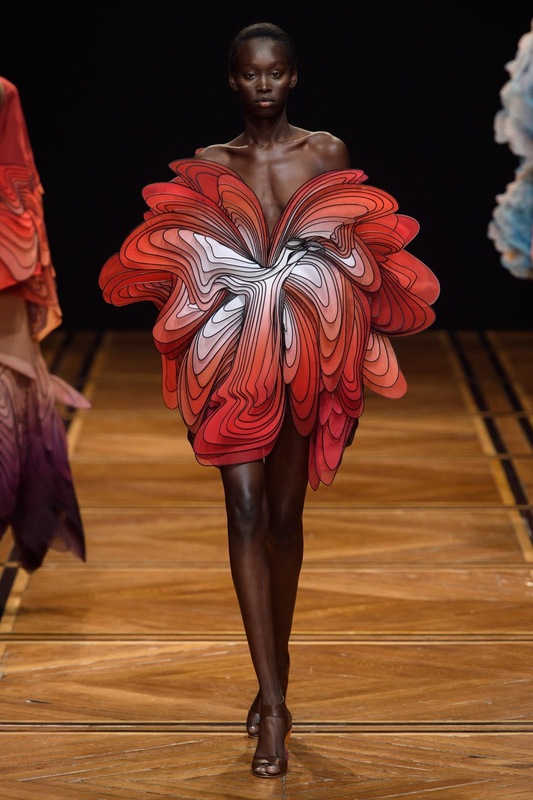 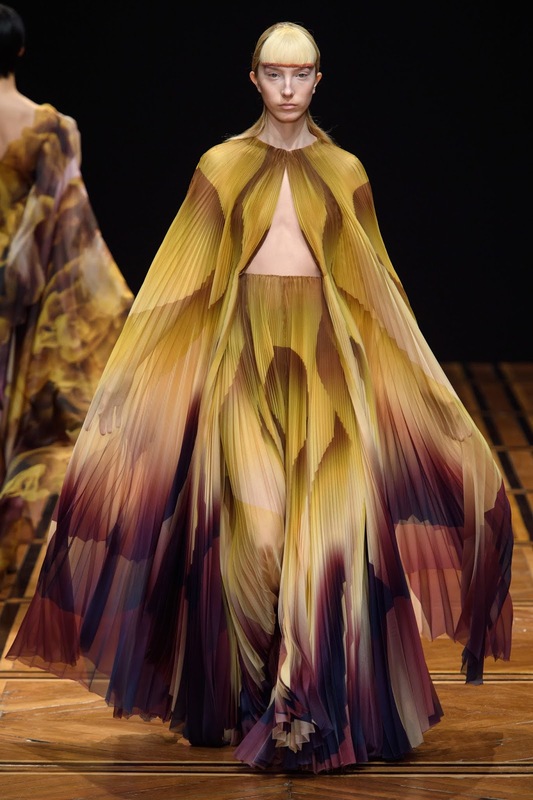 Iris van Herpen presented her spring 2019 couture collection at the Musée des Beaux-Arts in Paris. 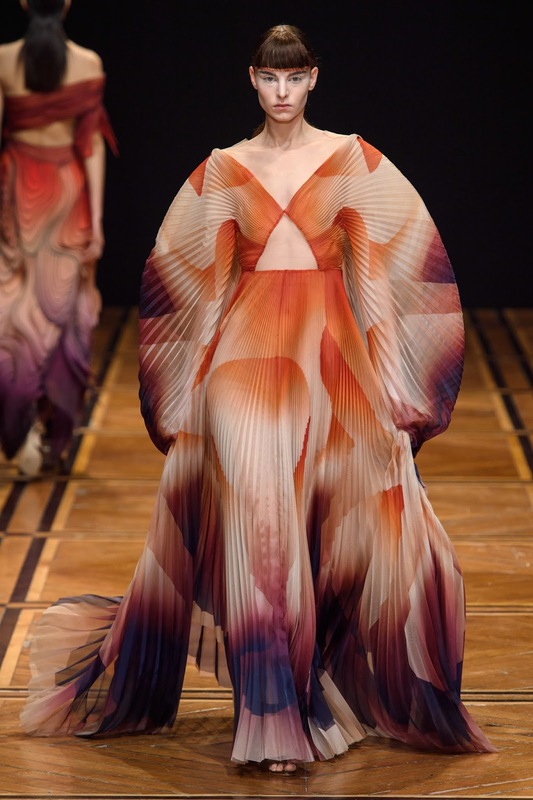 "Shift Souls" is inspired by DNA engineering and early astronomy, Harmonia Macrocosmica (a 17th-century star atlas. 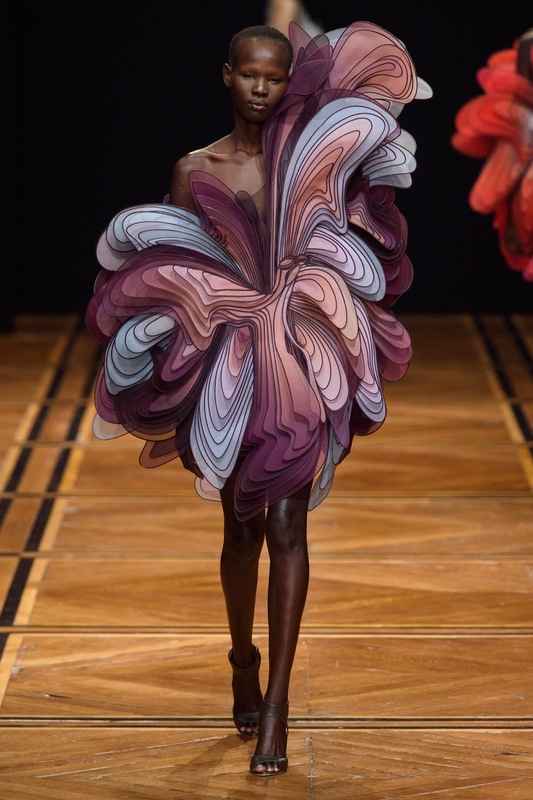 Made in collaboration with New York-based artist Kim Keever, the ensembles contained layers of translucent organza prints on them with kinetic patterns and scientific, artistic and futuristic references.